Energy minimization is a paramount zone in the field of computational and structural biology for protein modeling. It helps in mending distorted geometries in the folded functional protein by moving its atoms to release internal constraints. It attempts to hold back to zero value for the net atomic force on every atom. But to overcome certain disadvantages in energy minimization, Simulated Annealing (SA) can be helpful. SA is a molecular dynamics technique, where temperature is gradually reduced during the simulation. It provides the best configuration of bio-molecules in shorter time. With the advancement in computational knowledge, one essential but less sensitive variant of SA: Adaptive Simulated Annealing (ASA) algorithm is beneficial, because it automatically adjusts the temperature scheme and abrupt opting of step. Therefore it benefits to prepare stable protein models and further to investigate protein-protein interactions. Thus, a residue-level study can be analyzed in details for the benefit of the entire biota. It is an essential techniques into the manifold approaches and analysis for the entire developmental idea into the field of in silico structural biology, via energy minimization. Energy minimization is the phenomena to investigate the arrangement of a atomic cluster within vacuum. As per some in silico replica of chemical interactions, like quantum mechanics, the zero is the value for the gross atomic force on every atoms (Peng, Ayala & Schlegel, 1996). A single unique molecule, an ion, or a state of transition or even a cluster of all the aforementioned parameters prepare the respective atomic cluster. Therefore, energy minimization also is an important step for protein molecular modeling. It is capable to mend the deformed geometries in the folded functional protein by moving its atoms to release internal constraints. Therefore, as it optimizes the geometry of the protein structure, it is often called energy optimization (Rachid & Normand, 2011). It is also often called geometry optimization (Rachid & Normand, 2011). It helps in hunting the set up for an assortment for the positioning of the respective atomic cluster (Rachid & Normand, 2011). Tracing forward the concept of chemical bonding in the field of computational modeling, acceptable zero value is kept for the total inter-atomic force on each atom as well as the potential energy surface holds a stationary point (Frank, 1999). Broadly, an optimization algorithm explores the area nearby, generates a random initial solution and attempts to provide the best inference. If the newly obtained inference is superior and improved in nature in comparison to he previous one that was already present, only then, the algorithm moves to it, accepting it as the best solution at that stage (Eduardo et.al, 2011). Energy optimization can be performed following several techniques and optimization algorithms, including genetic algorithms; steepest descent, conjugate gradient and more (Eduardo et.al., 2011). The complicacies in an energy minimization arises when the energy comprises a preceding term which takes into report the geometrical parameters of the objects like biological macromolecules that are to be energy minimized (Eduardo et.al, 2011). Genetic Algorithms: Genetic algorithm (GA) is basically a heuristic process for mimicking the process of selection by nature via “survival of the fittest”. It therefore leads to productive inferences for minimization and optimization. Gas can be termes a part of the huge category of evolutionary algorithms (EA). It moreover, produces inferences for severe optimization issues utilizing the methodologies of evolution with the advancement in nature, like, crossover, mutation, selection and inheritance. Molecular Dynamics (MD) Simulation: MD Simulation is an effective process that utilizes computational phenomena to evaluate the time span reliant behavior of a molecular system/biosystem. MD simulations have offered complete and sufficient data upon the fluctuations and conformational variations of macromolecules like, proteins and further of the varied nucleic acids. These phenomena are presently scheduled to get utilized to explore the configuration, dynamics and thermodynamics of biological macromolecules and their respective complexes. Tabu Search: It generally travels to its surrounding stages exhibiting lower diminished energy, but might also mount higher in hill like pattern to allow it to get attained in a position having local minimum. It further and evade those cycles by preserving a “taboo list” of deductions visualized and attained already. Stochastic Optimization (SO): This specific optimization approach tends to produce and utilize indiscriminate variables and are so termed as Stochastic optimization (SO) techniques. Certain techniques in presence of the information data set which comprises specific dimensions; are very unique and thereby, commence sort of randomness into the investigation process to hasten the progression. Such arbitrariness tends to lead to a phenomena that occurs less susceptible to errors or fallacies caused due to protein modeling phenomena. Moreover, the injected arbitrariness might provide a phenomena to flee a local optimum and finally to draw near to a global optimum. Indeed, this randomization principle is soundly recognized to be a lucid and efficient approach to acquire algorithms with approximately certain good presentation consistently through several data sets, for varieties of problems. 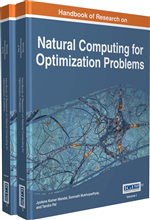 Simulated Annealing is one of such kinds of stochastic optimization methods. Protein Folding Dynamics: The steadiness and proper folding of modular macromolecules like proteins; 3D model structure and the respective sequence analysis of protein design and evolution, and protein-protein interactions in several signaling pathways is studied from protein folding dynamics. Molecular dynamics (MD) is a highly efficient tool to investigate the folding and dynamics of a protein following in silico approaches. Even though just a only some years before the vibrant performance of a protein macromolecule could be conjured up, only in the environs of the experimentally deduced conformation (or unfolding of a protein could be simulated at elevated temperature), the initiation of allocated computing, new procedures, for instance, replica-exchange MD, new advances (based upon, e.g., the stochastic difference equation), and physics-based dimished and optimized models of protein macromolecules, presently provide it probable to analyse protein-folding phenomena from the newly built tertiary anf functional models. Quantum Annealing: This technique utilizes “fluctuations in the protein models by following quantum mechanics” as a substitute for heat fluctuations or transitions to prevail over elevated but slight obstructions in the target function. Parallel Tempering: A technique where the modeled protein copies are simulated at varying temperatures (or Hamiltonians). It is done so, to surmount the potential barriers.